I am always impressed when I see Saint David's alums. 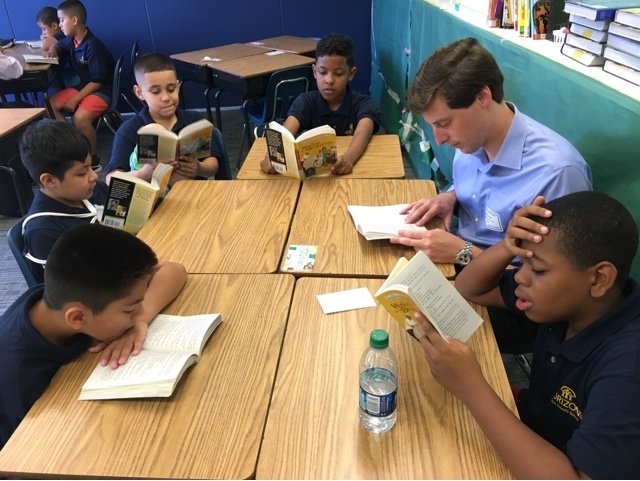 This morning, while visiting our Horizons summer program, I encountered young professional alums reading to the Horizons boys before they go off to work. Our alums come to Horizons every Wednesday for an hour or so and share literature with a small group--the same small group every week for six weeks throughout the summer. I dare say they are sharing much more than literature! I just love it! 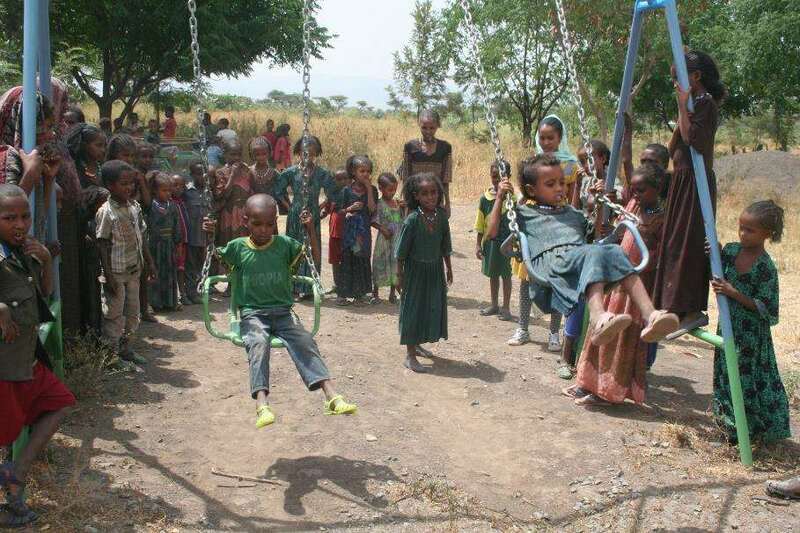 I would like to share the latest developments at the Saint David's Kalina School in Tigray, Ethiopia. This past academic year a new Early Childhood Care and Development center (ECCD), which includes a dedicated block of two rooms and an outdoor playground, opened for boys and girls ages 4-6. The ECCD provides young children with an opportunity to prepare for their primary school years. 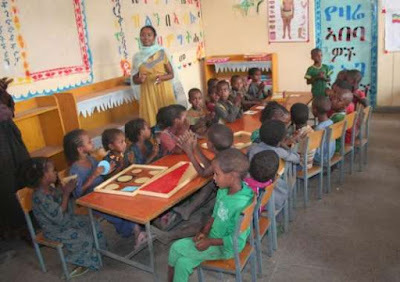 It also educates mothers in early literacy development and healthy child care practices. The ECCD center joins the Saint David's Kalina School, which officially opened in 2014 after 3 years of fundraising projects by Saint David's boys. 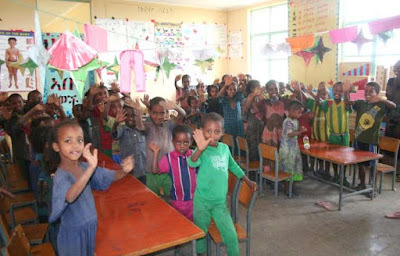 Last school year, the Saint David's Kalina School and ECCD center provided education to 479 children (216 girls and 263 boys) in pre-primary through Grade 6. A recent report by Save the Children, our partners in the project, had this to say about the sustained efforts of Saint David's boys: Because of your support for the ECCD center, preschool girls and boys will have learning opportunities that will provide them with a vital foundation so that they can enter the Kalina Primary School well-prepared and ready to learn. Through the quality ECCD programming, you are providing hope for the future and putting young, disadvantaged students on a trajectory to give back to their families, to their community and to future generations. We remain committed to the development of Saint David's Kalina School, as our boys continue to raise funds to build a middle school. 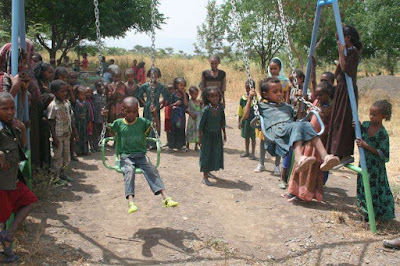 This project is particularly meaningful because it involves elementary school children working to provide education to same aged peers in need. It was born from our desire, during Saint David's 60th anniversary, to embrace a project for the greater good that would be long-lasting and entail the sustained efforts of our boys. It is the Saint David's mission alive in the world! Hard demolition of Graham House is underway, beginning on the roof of Building 18 and working its way down to the ground floor. 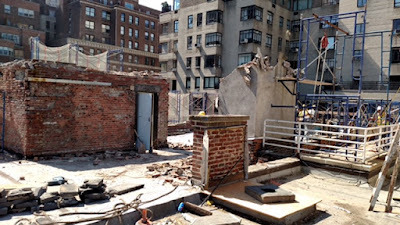 Once 18 has been demolished, demolition of 20 and 22 will follow. The elevator from Building 22 has been removed and that space will be used as a trash chute for the duration of the project. 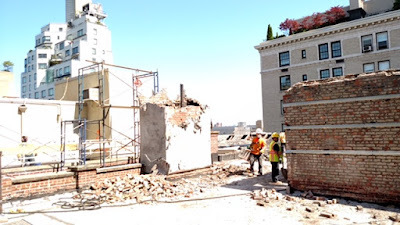 The photos below show workers on the roof as they begin demolishing the rear portion of Graham House in preparation for the transformation of our school's facilities. 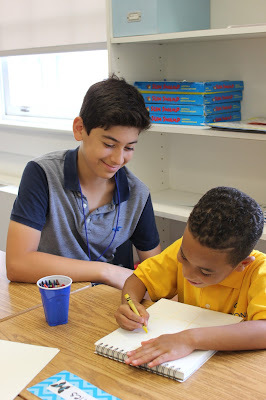 It's hard to believe it, but this is the fifth year of Horizons at Saint David's, a summer academic, sports, and enrichment program for boys from predominantly low-income families in our neighboring communities, who are at risk of summer slide. In the summer of 2012, 17 rising first graders comprised the program's first cohort. 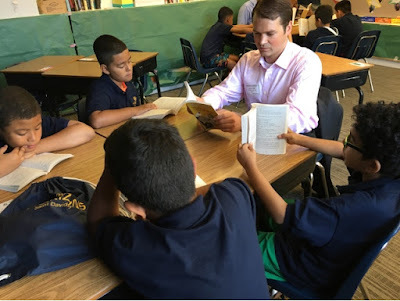 This summer, 80 boys are enrolled spanning Grades 1 through 5. 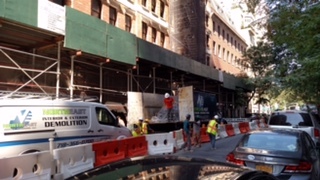 Due to the construction work underway at Saint David's, for this summer and the next the program is being held at Nightingale-Bamford School; we are appreciative to have this support from our friends at NBS. The six-week Horizons program includes interactive, project-based activities that help the boys develop problem-solving and critical thinking skills. They participate in academic, art, music, and hands-on STEAM classes; take swimming lessons; and enjoy sports. It's a fun-filled educational day for the boys and teachers alike. Several Saint David's alumni who are now in high school volunteer for Horizons, assisting the teachers throughout the day. The executive director is Meg Sheridan, parent of three Saint David's alumni, and the program co-directors are former Saint David's faculty members Courtney Sanchez and Meghan Patterson. Several of our faculty teach for the program. Horizons at Saint David's is an affiliate of Horizons National. It was established by Saint David's School in conjunction with our sixtieth anniversary, as I sought a means for our school to contribute to the greater good in our neighboring communities. Trustee Julie Sykes served as its founding executive director. More information on the program can be found at http://www.saintdavids.org/horizons. 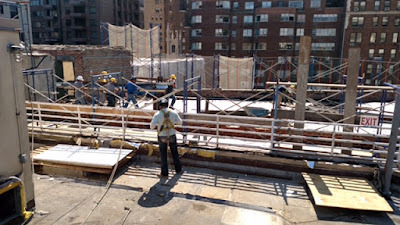 As the days have heated up, so has the work over on East 89th Street. The Omega classroom has been gutted. The new space will occupy the same place on the first floor of the school but will be larger, with a spacious, open layout that is more efficient for teaching young boys. 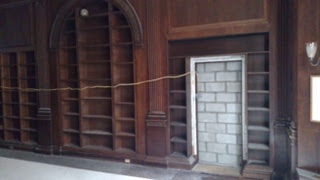 Below is the former site of the Director of Finance and Administration's office on the first floor. This converted air shaft area separating Buildings 18 and 20 also runs up all the floors of the school and was built in at the end of the Jubilee Campaign. 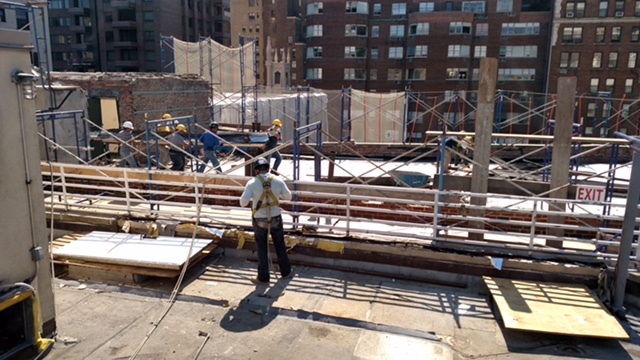 During our current project it will be filled in, providing a few thousand more square feet of program space. 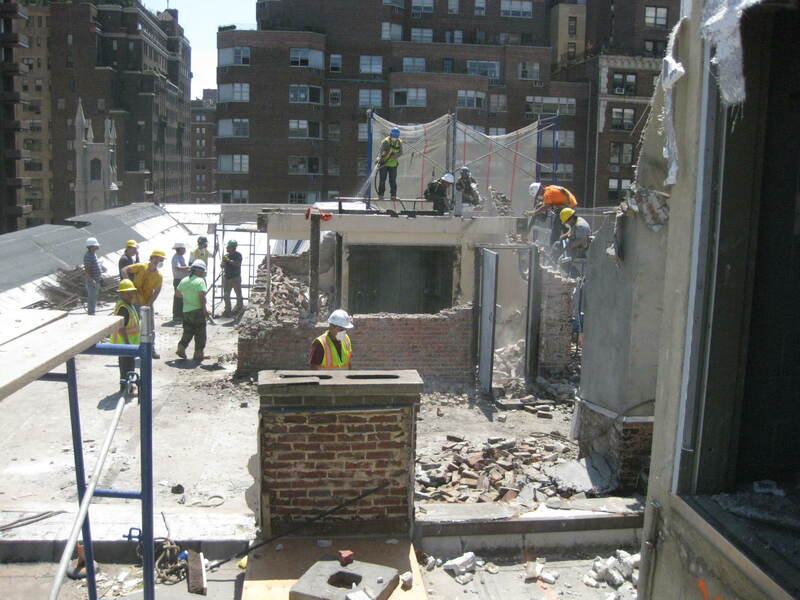 This photo depicts the closing of a stairway door into Building 18. We will we need to retain this stairwell and the elevator in Building 18 for the duration of construction. Both will be removed in the summer of 2018. 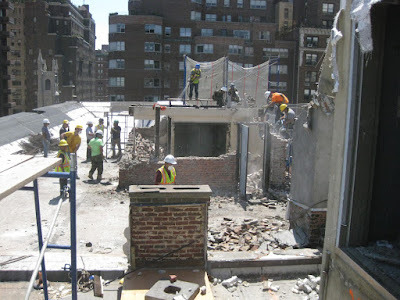 The old tech room on the second floor has been demolished. This section will be transformed into the stage right area of the new performing arts center, which will be able to accommodate a full division of our school and their parents. Work on this floor also will entail the addition of three nearby music rooms, enabling the boys to practice next to the performance center. 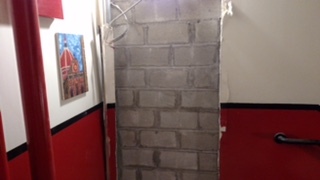 The bricked up door from the library to the old tech room highlights a permanent change. Beyond it lies the future stage for our theater. It's certainly an exciting summer at Saint David's! Look for more updates as we realize a long-term dream to enable program needs to fully drive the allocation and design of space for our boys and faculty.